Verizon's acquisition of Telogis and Fleetmatics is making more sense today. Growth in telematics segment can be huge by 2020. Verizon will probably destroy the competition. Verizon Communications (NYSE: VZ) is an industry leader, with a fat dividend yield and a strong balance sheet. The company has been pushing the boundaries in technological advancement for years, and I believe it may be looking for an absolute kill in the next big growth market: Internet Of Things. 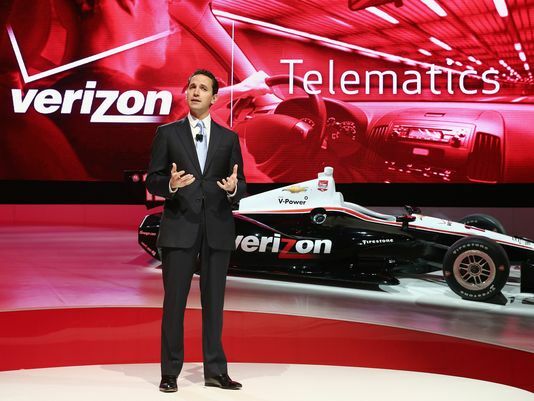 Verizon's IoT technology sees significant traction in its telematics segment. In Q2 earnings call, the company revealed that its revenue from IoT grew 25% to $205 million (yoy), led by strong demand for telematics product, including Hum. Verizon Telematics, a subsidiary of Verizon, has a fleet management solution called NetworkFleet. I have reasons to assert that after its acquisition of Telogis and Fleetmatics (NYSE: FLTX), the company may be staring at billions of dollars in potential future revenues. Verizon has already become the largest fleet management solution provider worldwide. According to a research report on Connected CarTech, the commercial telematics market is set to grow from $20.42 billion in 2015 to $55.14 billion by the end of 2021, at a CAGR of more than 18% between 2016 and 2021. Commercial applications of telematics can be seen in infotainment, insurance, fleet/asset management, satellite navigation, tele-health solutions, and others including emergency warning systems. Of these, fleet and asset management occupies a significant 28% market share, as of 2015. Transporation and logistics segment dominated with a market share of 54%. Other industries are expected to witness strong growth too.